Fairbanks Alaska. 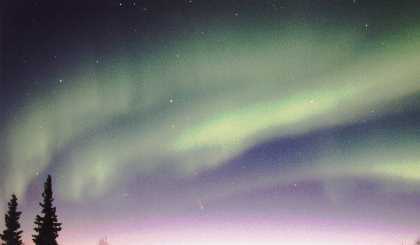 April 22, 1996.
p> 30 second exposure, 50 mm lens, Kodak 1000 Gold film, F4.5, lots of aurora. Time about 1:15 ADT Comet lower middle.